et puis, TTM va sur la lune pour la derniere fois avant les vacances! Entrée libre! // Free entry! 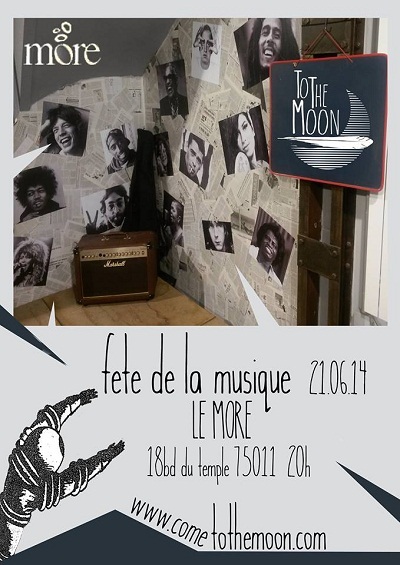 TTM va jouer vers 20h... Venez sur la lune! Come for the launch of To The Moon's album. plus DJs (including a collaborative set with DJ Malbak), plus a competition and the photocall "On The Moon"
To The Moon will be performing new songs at this cool little bar on the Belleville hill.